George Lee assists registered investment advisers, private investment funds and family offices with investment fund formation, regulatory compliance, and investment transaction needs. Credited with shaping the SEC rules that govern family offices, as well as working with the state of TX to create its exemption to registration rules for private investment funds, George is both a seasoned business lawyer and an industry thought leader. He also advises public companies, private companies and investors with respect to federal and state securities laws. George is uniquely skilled among practitioners, having served as GC of a TX hedge fund for several years. He understands how funds are run and speaks the language – reasons that he is often sought after by fund managers and referred by clients and their advisors. 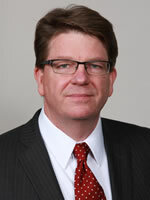 George has experience in family office structuring related to Dodd-Frank and other regulations. He is also well positioned to assist registered investment advisers in industry consolidation moves, portfolio investments, regulation and compliance. George is a graduate of Carleton College and and The University of Texas School of Law. Gardere provides comprehensive litigation and business solutions for leading domestic and international companies, Fortune 500Ã‚Â® corporations and private businesses. They turn complex challenges into sustainable solutions for clients across a broad spectrum of industries and sectors including chemical and refining, construction, corporate, energy, finance, government affairs, hospitality, private equity, real estate and retail.